I have had “Hipstamatic” installed on my iPhone since the day it landed in the app store. 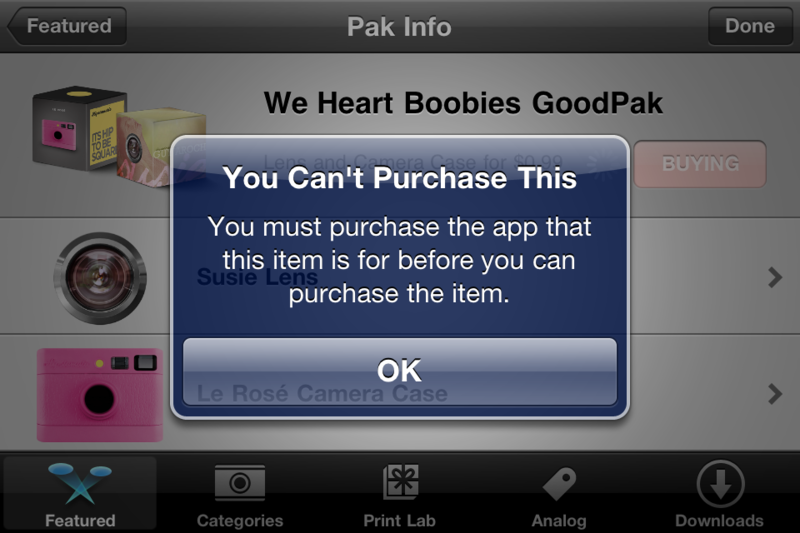 I love the app, but I hate the in-app purchasing. 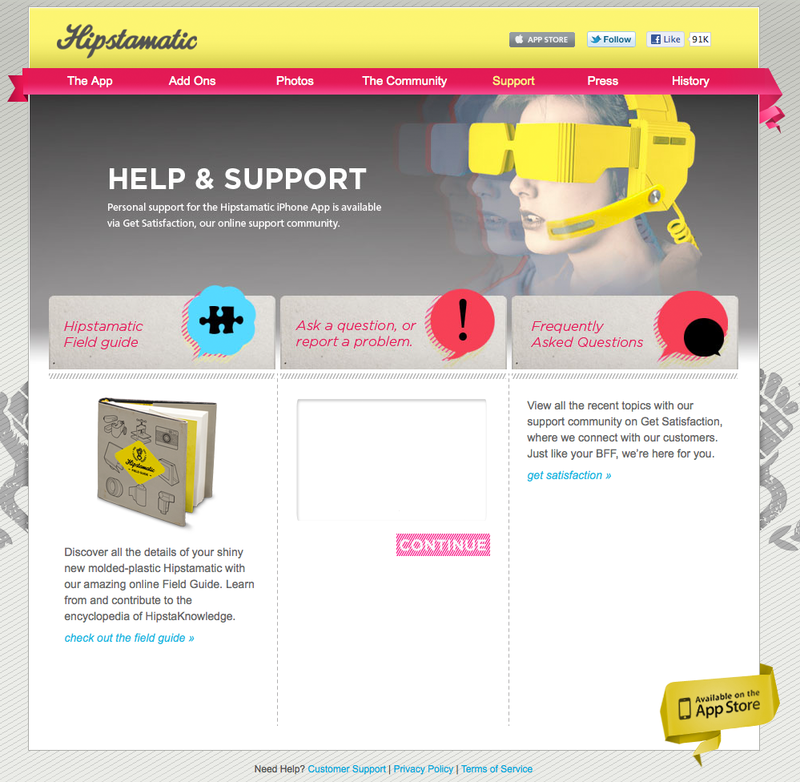 Not only that I hate the total and complete lack of tech support that Hipstamatic fails to provide on their website. By that I mean there is no real way to contact the developer to ask why I keep getting the following error message on all in-app purchase attempts. Not only is the error moronic, the fact that I can’t contact anyone about it is as well. Look at this. I am in the host application. I am trying to purchase from within the host application. Yet the host application thinks I am A: not in its own in-app store front, and B: doesn’t give me an alternative or instructions on how to deal with the error. Hipstamatic folks, I would buy every add-on pack you sell if I could. I know at .99 cents it’s not a whole lot of money for you, but it is the sweet spot for in-app purchases. Oh and here is the deal… I have a pretty solid feeling I am not the only person that is having this issue with your iPhone app. Multiply me times ten thousand, and multiply that times the number of available in-app purchases. I think it adds up to enough to have email tech support on your website. Love your app. Hate your lack of tech support. Posted in iPhone Apps, Postaday 2011, Technology and tagged Contact Hipstamatic, Hipstamatic, Hipstamatic Error Messages, Hipstamatic In-App Purchasing, Hipstamatic Support, iPhone, iPhone Applications, iPhone Camera Applications, Lack of Hipstamatic Support, postaday 2011, postaday2011 on October 12, 2011 by Author.